Racing was banned in Cuba when Fidel Castro’s fighters took control of the country and the sport was labeled as elitist. More than half a century later a group of enthusiasts in race cars made from recycled ‘50s American iron are fighting to bring the sport back, as chronicled in Havana Motor Club: a new documentary we’ll be showing at the Jalopnik Film Festival on Saturday. Cuba’s discomfort with racing initially can be seen as a response to the Batista Government’s push to make the island nation attractive to tourists by hosting a Grand Prix in the country. The event was staged against the backdrop of the revolution and at one point Castro’s supporters kidnapped five-time world champion Juan Manuel Fangio before the race in 1958. The same year a crash killed seven spectators. And with that, racing was soon over in Cuba. Not like Cuba would be a great place for auto enthusiasts anyway, as an import ban made it difficult to get new cars or parts. But that didn’t stop everyone. Because racing is illegal in Cuba, racers have had to turn to other methods to test their vehicles. “When we race we race in the streets,” says Jote, another driver featured in the film who has tried to escape to the United States by boat many times but has failed. “Even if there’s no legal place to race, at some point I still have to do it,” says Rey, another character featured in the film. The price for getting caught is steep in Cuba, with racers reporting that their cars have been taken by the police and some have been thrown in jail for violating those rules. As inventive as the racers are with their cars – one of the cars in the film is powered by an engine sourced from a sunken boat used to ferry people illegally into the United States – they’re often more inventive with how they skirt the laws. The film beautifully captures the resolve racers in Cuba have had in trying to get a sanctioned raced approved. While we take for granted the many opportunities we have to race or spectate in the United States, many of the men and women involved in the sport view it as freedom they deserve and have had some success in persuading the government in Cuba that it’s finally time to allow people to drive. 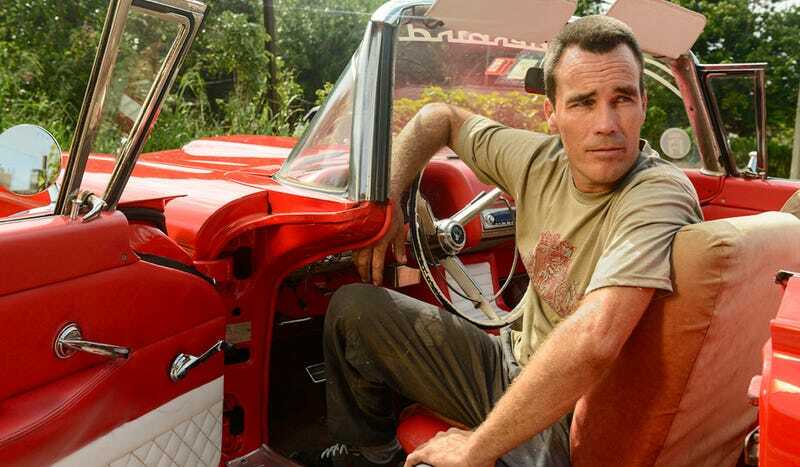 “We can no longer ignore the will of the people over something as important as car racing,” Quico Dobarganes, the head of the Cuban Motor Federation, says in the film without any hint that he’s being hyperbolic. At one point, Dobarganes announces that a long-planned race had to be postponed because the visit of Pope Benedict XVI would require all the barricades. A younger racer challenges Dobarganes, asking him how long they should wait. He tells the young man that he’s been waiting for more than 50 years. While the film focuses on the quest to have a real race in Cuba, we also get a glimpse into how the average Cuban has to work to afford to have a car and the many sacrifices that are a part of life in the country. Yes, the old Porsche 944 you see in the pictures powered by a Chevy V8 is definitely impressive, but the car’s mechanic only has access to the cars because they belong to a friend in Miami who is willing to come down and bring parts. Jote sold his car piecemeal to be able to afford to try to make it to the United States, only to be caught and sent back home with nothing. And it’s still a film about racing, which means it’s a film about rivalry. (We’re showing Havana Motor Club as part of our Jalopnik Film Festival in Los Angeles this week.You can get tickets here if you haven’t already.